Meaty Mondays just got more meaty! 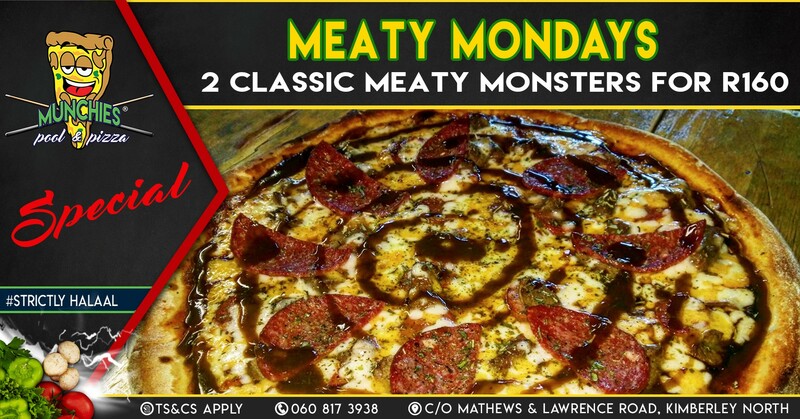 Why have a blue Monday when you can have a Meaty Monday? Find us at Corner Lawrence & Mathews Road, Kimberley. Munchies Pizza... a slice above the rest!